Join us for a rare screening of Italian silent films on 35mm with live musical accompaniment by Stephen Horne. 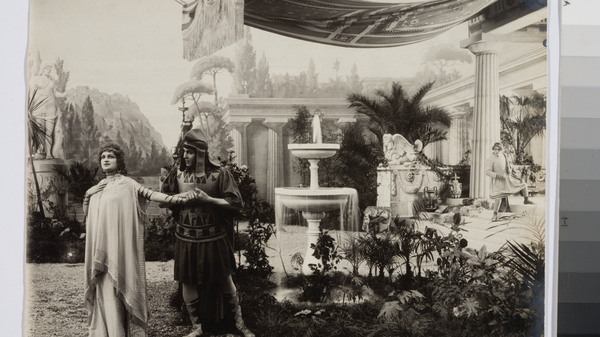 The silent period was a golden era for Italian cinema, with pioneer directors like Giovanni Pastrone, whose 1914 epic Cabiria influenced filmmakers such as DW Griffith. Historical epics were particularly popular. This event features five restored films from the collections of the Turin Film Museum, all with a classical theme. They include Pastrone’s Fall of Troy (1911) and The Last Days of Pompeii (1910), from the novel by Edward Bulwer-Lytton, which was the first Italian historical epic. The programme also includes Hero and Leander and Dido Abandoned from 1910; and Judas from 1911. Followed by a Q&A featuring Stella Dagna from the Turin Film Museum. The event is generously supported by a grant from the Institute for Greece, Rome and the Classical Tradition at the University of Bristol. Organised in partnership with South West Silents. Filmic – our annual look at the creative connections across film and music, in partnership with Colston Hall and St George's Bristol – returns throughout March and April.